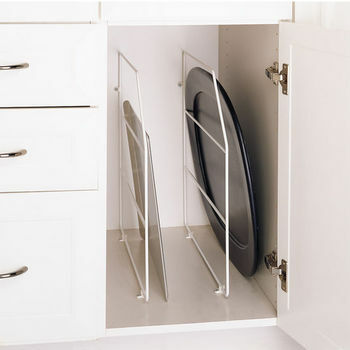 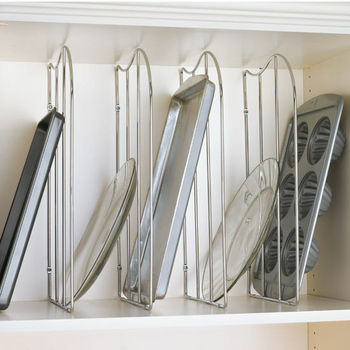 Rev-A-Shelf White Wire Tray Dividers for Kitchen Cabinets, 12" or 18"
Divide your cookie sheets, pots and pans, muffin pans, pizza trays, and more using an upper-cabinet tray organizer. 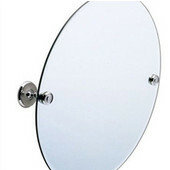 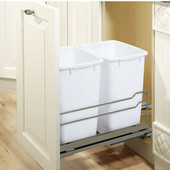 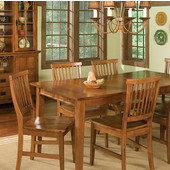 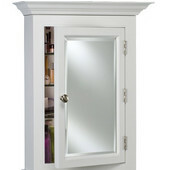 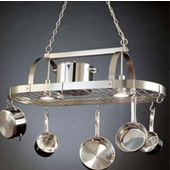 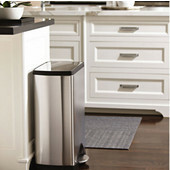 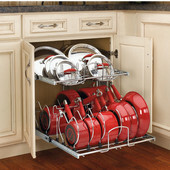 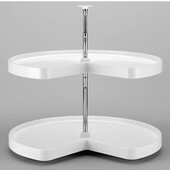 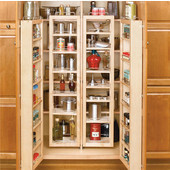 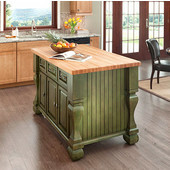 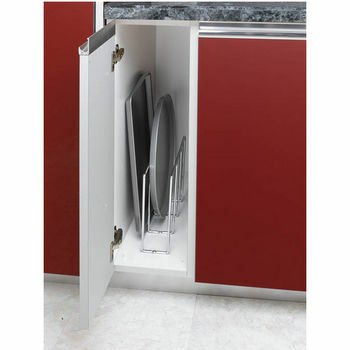 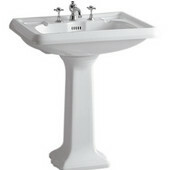 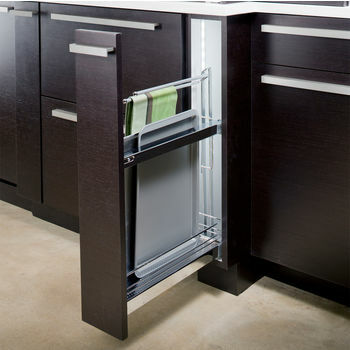 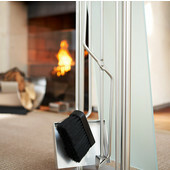 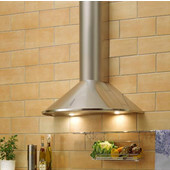 KitchenSource.com has many convenient products to keep your kitchen cabinets organized. 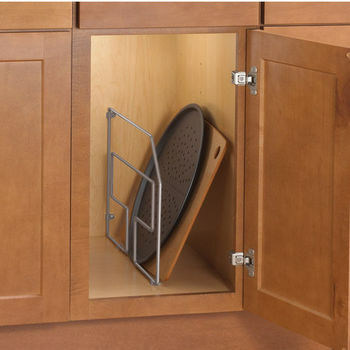 These durable wire tray organizers by Rev-A-Shelf and Peter Meier also create a secure place to store your serving dishes and cutting boards. 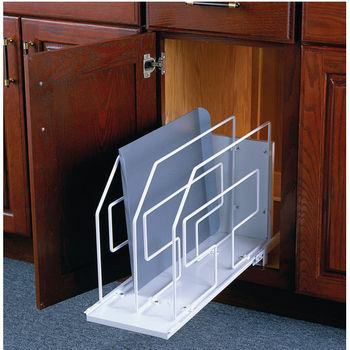 The Tra-Sta by National Products has wooden dividers that mount into your cabinet and slide out to make more room whenever you need it. 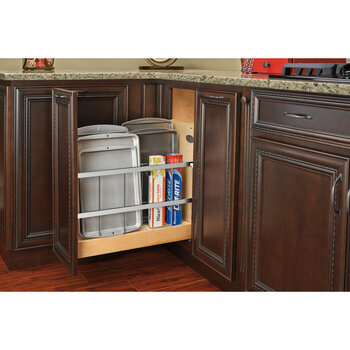 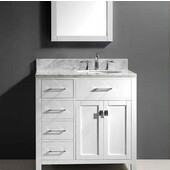 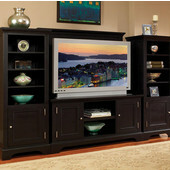 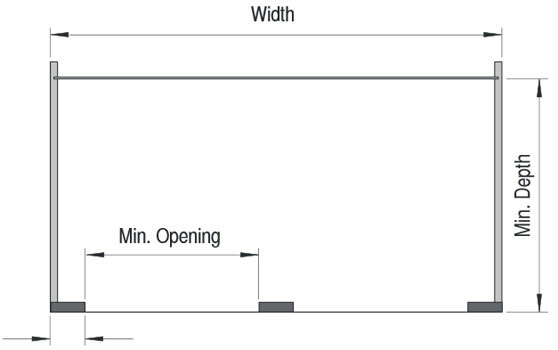 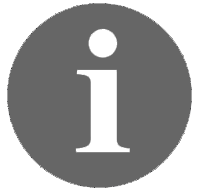 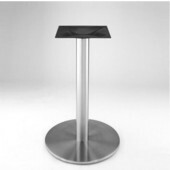 The System is made of durable wooden rails that attach to the top and bottom of your cabinet. 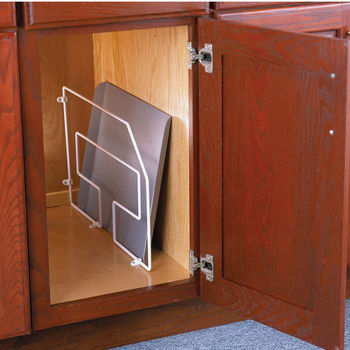 The dividers are made out of a pre-finished maple veneer and can be trimmed to fit inside of a shallow cabinet. 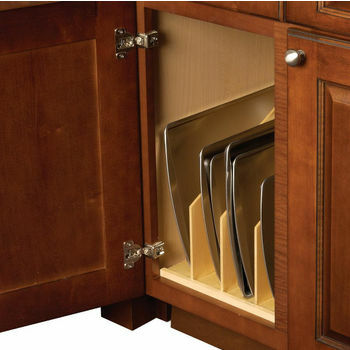 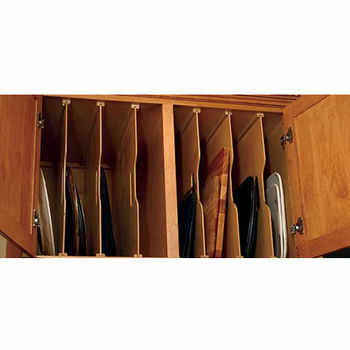 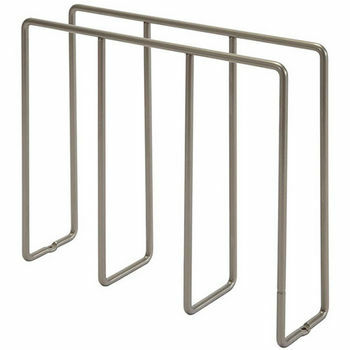 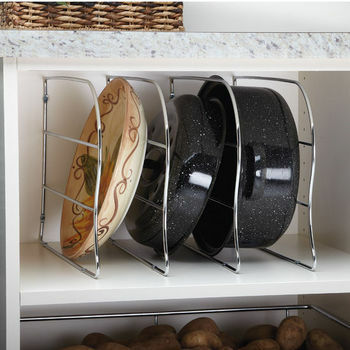 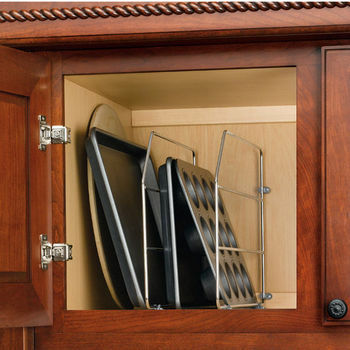 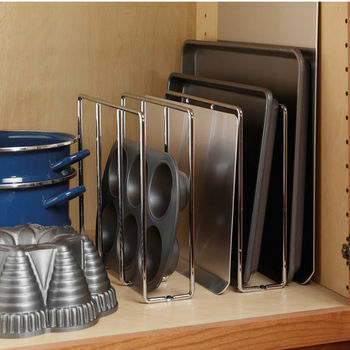 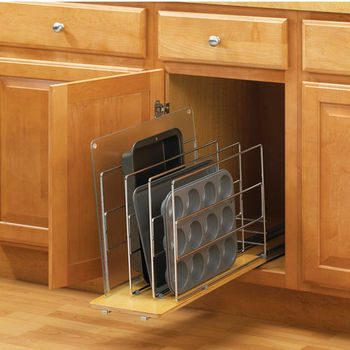 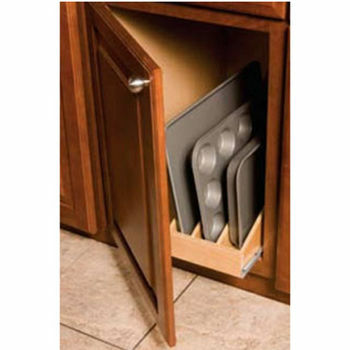 These upper cabinet tray organizers are terrific space-savers for any sized kitchen.